May 11 – California Native Plants & Wildflower Hike 9 a.m. – 12 p.m. Learn to identify native plants with Laguna Canyon Foundation volunteer naturalist Nadine Nordstrom (author of the South Coast Wilderness Plant Identification Guide) on this moderate but very fast-paced, steep and rocky, 4.8-mile hike (700-ft. elevation gain). Location: Laguna Coast Wilderness Park. 18751 Laguna Canyon Road, Laguna Beach, CA 92651 Website: www.ocparks.com/lagunacoast/ Cost: $2 donation per person Parking: $3 per vehicle Contact: (949) 923-2235 or (949) 923-3702 Special Instructions: Reservations required, sign-up online: www.lagunacanyon.org/activities. Ages 12 and up. James Dilley Preserve (east side of Laguna Canyon Rd/Sr-133 just north of 73 Toll Road). May 11 – Under the Sycamores: Hawks, Owls and Falcons 1 – 4 p.m. Join us under the shade of the Sycamores and fluff your feathery imaginations as you learn about hawks, owls and falcons while viewing them up close! Don’t miss out on the 1-hour beginners bird walk (bring binoculars) offered at 1 p.m. and 3 p.m. with the live raptor program presented by the Bird of Prey Center (a non-profit organization that specializes in raptor rehabilitation and education) at 2 p.m. Location: Aliso and Wood Canyons Wilderness Park. 28373 Alicia Parkway, Laguna Niguel, CA 92677 Website: http://ocparks.com/alisoandwoodcanyons/ Cost: Free Parking: $3 per vehicle Contact: (949) 497-8324 Special Instructions: Reservations required, sign-up online: www.lagunacanyon.org/activities. For ages 7 and older. Aliso & Wood Canyons Wilderness Park, Ranger Headquarters, Gate 1 (from southbound Aliso Creek Rd, turn right on Alicia, first right Awma, left into parking lot). 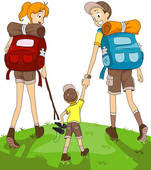 May 11 – Family Hike 3 – 5 p.m. Join us on this very enjoyable, easy 3-mile hike over moderate but uneven terrain (100-ft. elevation gain). Families welcome. You will hike in one of the most diverse areas, through a canopy of oaks past Barbara’s Lake and back. Led by Laguna Canyon Foundation volunteers. Location: Laguna Coast Wilderness Park. 18751 Laguna Canyon Road, Laguna Beach, CA 92651 Website: www.ocparks.com/lagunacoast/ Cost: $2 donation per person Parking: $3 per vehicle Contact: (949) 923-2235 Special Instructions: Reservations required, sign-up online: www.lagunacanyon.org/activities. Ages 12 and up. James Dilley Preserve (east side of Laguna Canyon Rd/SR-133, just north of 73 Toll Road). May 12 – Second Sunday Restoration Program 9 a.m. – 12 p.m. Join Preserve staff and other volunteers in enhancing the Bay’s habitat for local wildlife. Activities may include non-native plant removal, planting natives, watering, trash cleanup and Butterfly Garden maintenance. No experience is necessary; water, snacks and tools are provided. Location: Upper Newport Bay. 2301 University Drive, Newport Beach, CA 92660 Website: http://www.ocparks.com/uppernewportbay/ Cost: Free Parking: Free Contact: (949) 923-2290 Special Instructions: Minors aged 16 and younger must have legal guardian present at all times. Space is limited and pre-registration is required. Please call (949) 923-2275, or email unbic@ocparks.com to register. Program will be cancelled if inclement weather is present. May 14 – James Dilley Preserve Nature Hike 8:30 – 11:30 a.m. Join us for some time out in the wilderness on this leisurely 2-mile loop hike (370-ft elevation gain) over steep and uneven terrain as you spot plants, animals or maybe their tracks and signs along the way. Location: Laguna Coast Wilderness Park. 18751 Laguna Canyon Road, Laguna Beach, CA 92651 Website: www.ocparks.com/lagunacoast/ Cost: $2 donation per person Parking: $3 per vehicle Contact: (949) 923-2235 Special Instructions: Reservations required, sign-up online: www.lagunacanyon.org/activities. Ages 12 and up. James Dilley Preserve (east side of Laguna Canyon Rd/SR-133, just north of 73 Toll Road). May 16 – Fitness Hike at Little Sycamore 8:30 – 10:30 a.m. Raise your heart rate and your spirits on this difficult, strenuous and fast-paced, 4.8-mile hike (400-ft. elevation gain) over very steep, uneven terrain with Laguna Canyon Foundation volunteers. Location: Laguna Coast Wilderness Park. 18751 Laguna Canyon Road, Laguna Beach, CA 92651 Website: www.ocparks.com/lagunacoast/ Cost: $2 donation per person Parking: $3 per vehicle Contact: (949) 923-2235 Special Instructions: Reservations required, sign-up online: www.lagunacanyon.org/activities. Not for beginners. Ages 15 and up. Little Sycamore Canyon Staging Area/Nix Nature Center (west side of Laguna Canyon Road/SR-133, approximately 3.5-miles south of I-5/405). May 17 – A Morning Stroll to Barbara’s Lake 9 – 11:30 a.m. Enjoy the outdoors and learn about diverse plant life on this leisurely paced, 2-mile hike with Laguna Canyon Foundation volunteer naturalists. Location: Laguna Coast Wilderness Park. 18751 Laguna Canyon Road, Laguna Beach, CA 92651 Website: www.ocparks.com/lagunacoast/ Cost: $2 donation per person Parking: $3 per vehicle Contact: (949) 923-2235 Special Instructions: Reservations required, sign-up online: www.lagunacanyon.org/activities. Ages 8 and up. Little Sycamore Canyon Staging Area/Nix Nature Center (west side of Laguna Canyon Road/SR-133, approximately 3.5-miles south of I-5/405). May 17 – Magnificent Mammals – Toddler Class 10 – 11 a.m. Come learn all about animals covered with fur! Class includes hands-on learning, fun crafts, and meeting animals up close. Location: Orange County Zoo. 1 Irvine Park Road, Orange, CA 92869 Website: http://www.ocparks.com/oczoo/ Cost: $5 per child (one parent included) Parking: $3 per vehicle Contact: (714) 973-6847 Special Instructions: PHONE REGISTRATION REQUIRED. Call Marcy Crede-Booth, Education Coordinator at (714) 973-6846. For ages 3 to 4 years old. Additional parents/siblings/family/friends must pay admission fee to enter zoo. Please note spaces fill quickly for toddler classes.